Marty Abdullah: Bar Italia, Mon. Claudia Acuna: Jazz at the Bistro, Fri. and Sat. Ali & Emily: Llywelyn's Pub-Webster Groves, Thu. ; Llywelyn's Pub-CWE, Fri.; Llywelyn's Pub-West Port, Sat. Ambrosia: Generations, Sun. and Mon. Corey Anderson, Flip Lynch & Tolga: Upstairs Lounge, Wed.
Arianna String Quartet: Blanche M. Touhill Performing Arts Center, Sat. and Sun. Arvell & Company: Harrah's Casino, Sun. Aunt Flo: Parrot's Sports Bar & Grill, Fri.
Bad Andie: Parrot's Sports Bar & Grill, Sat. Jonathan Baer Project: Frederick's Music Lounge, Sat. Billy Barnett: 1860's Hard Shell Café & Bar, Tue. 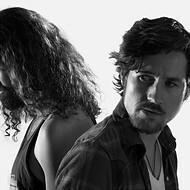 Beats & Beyond: Halo Bar, Wed.
Maris Beckett Band: K.T. 's Sports Bar & Restaurant-O'Fallon, Sat. Maris Beckett: R.T. Weiler's Food & Spirits, Fri.
Ben Wah Bob: Rusty's, Fri.; All Stars Bar & Grill, Sat. Beno & Tom: Laurie's Place, Sat. A Bit Shifty: Studio Café, Fri.
Dave Black Duo: Nadoz Café, Fri.
Blue Knights: St. Louis Casa Loma Ballroom, Fri.
Blues & Jazz Innovators: Nymba's Bar & Grill, Fri.
Blues on Tour: Family Arena, Thu. Bockman's Euphio: Off Broadway, Fri.
Boom: The Phoenix, Fri.; Harrah's Casino, Sat. Bottoms Up Blues: Riddle's Penultimate Café & Wine Bar, Thu. ; Morganford Blues Bar, Sat. ; Broadway Oyster Bar, Sun. Chris Bruno: Maggie O'Brien's, Thu. Buffalo Bob & the Bedroom Blues: Tiger Inn, Sat. Ralph Butler Band: A.J. 's, Thu. ; Mississippi Nights, Fri.
C-Beyond & Big Wood: Halo Bar, Fri.
Camp Climax for Girls: Red Spoon Coffee House, Fri.
Tony Campanella Band: Charlack Pub, Fri. and Sat. Rodney Carrington: Family Arena, Fri.
Chamber Jazz: Borders-South County, Fri.
Charlie B. Group: Backstreet Jazz & Blues, Thu. Citizen's Arrest: Hartford Coffee Company, Sat. Brian Clarke: PJ's Martini & Wine Bar, Thu. Clint & Company Duo: Maryland Yards at the Waterworks, Thu. Stacey Collins Band: Dorsett Inn, Wed. and Thu. Common & De La Soul: Pageant, Sat. Stephan Cowles: Lil' Nikki's Grill & Chill, Thu. Sarah Cox & JC Head: Rue 13, Wed. The Crystal Method: Pop's, Sat. Cumberland Gap: Schlafly Tap Room, Fri.
Brian Curran: Broadway Oyster Bar, Wed. and Sat. Dangerous Kitchen: Venice Café, Sat. Amy & Jerry Davison: Brewhouse, Wed., Sat. and Mon. Dead Letter Drop: Magee's, Wed. Deep Six: Fairmount Park, Thu. Deke Dickerson & the Eccofonics: Beale on Broadway, Sun. Diesel Island: Frederick's Music Lounge, Fri.
Dr. Zhivegas: The Phoenix, Sat. Downtime: O'Brien's Food & Drink, Fri.
Exit 3: Maggie O'Brien's, Fri. Falcons: Laurie's Place, Fri.; Stagger Inn...Again, Sat. The Fall: Creepy Crawl, Mon. Fantasy: K.T. 's Sports Bar & Restaurant-O'Fallon, Fri.
Farshid Etniko Ensemble: Café Eau, Sat. Fear: K.T. 's Sports Bar & Restaurant-North County, Fri.
Fluid Drive: C.J. Muggs, Fri.; Fast Eddie's Bon-Air, Sat. and Sun. Johnny Fox: Billy Goat, Fri. G.T.O. : St. Louis Casa Loma Ballroom, Sat. Gabe & Dino: Mangia Italiano, Sun. Clinton Gallagher: Seventh Inn Lounge, Wed. and Fri.-Sun. Tim Garcia Group: Crossings Taverne & Grille, Thu. Gargoyle Reign: Helen Fitzgerald's, Thu. and Fri.; House of Rock, Sat. 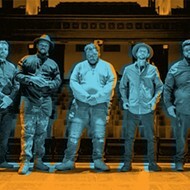 Rob Garland & the Blue Monks: Beale on Broadway, Fri. Groove: Main Street Jazz & Blues, Fri. 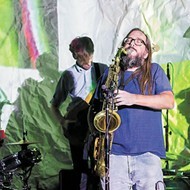 Ground Floor: Stagger Inn...Again, Fri.
Gunshy: Lemp Neighborhood Arts Center, Thu. Chris Hansen Quartet: Delmar Restaurant & Lounge, Sun. Haviz Huda: Studio Café, Sat. House Brothers Blues: Morganford Blues Bar, Fri.
House of Rock Allstars: House of Rock, Tue. 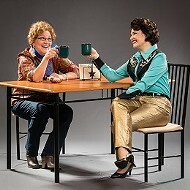 Janis Ian: Off Broadway, Wed.
Idiosyncrasy: Trainwreck Saloon at Westport, Fri.; Pop's, Sat. Michele Isam & the Mighty Long Days: JaBoni's Bistro, Sun. Jammin' at the Bistro: Jazz at the Bistro, Sun. Jazz Renaisance: Riddle's Penultimate Café & Wine Bar, Sat. Alvin Jett & the Phatnoiz Blues: BB's Jazz, Blues & Soups, Wed.; Broadway Oyster Bar, Fri.
Joe Dirt: House of Rock, Thu. ; Helen Fitzgerald's, Sat. Oliver Johnson Duo: Jimmy's Café on the Park, Fri. and Sat. Jukebox Country Band: West Wind, Sat. Emily Kaitz: Focal Point, Fri.
Scott Kay & the Continentals: Lemmons, Sat. Todd Keller: Llywelyn's Pub-West Port, Thu. ; Gabrielle's, Fri.
Todd Keller Duo: Satchmo's Bar & Grill, Sat. ; Syberg's-Gravois, Mon. Killing Vegas: Helen Fitzgerald's, Wed.
Justin King & Bryan Jenkins: Rue 13, Thu. Kenny Kingston: Lo, Wed. and Fri.
Knights of the Round Table: Bottle Cap, Sat. John "Cyberjive" Larner: Lo, Sat. Jeff Lash Trio: Riddle's Penultimate Café & Wine Bar, Tue. Jimmy Lee: 1860's Hard Shell Café & Bar, Sat.-Mon. Adrian Legg: Blueberry Hill, Mon. Steve Leslie Duo: Trainwreck Saloon at Westport, Wed.
Less Than Serious: George's Route 66, Fri. and Sat. Pat Liston: Coach's Sports Bar & Grill, Sat. Phil Loder Trio: Remy's Kitchen & Wine Bar, Thu. Loud Mouth Soup Unplugged: Trainwreck Saloon at Westport, Thu. Low Skies: Rocket Bar, Thu. Lucky Dan & Naked Mike: Café Provençale, Fri.; Hammerstone's, Tue. Natalie MacMaster: Sheldon Concert Hall, Fri.
Mad Maynard & Jackie McCoy: Generations, Wed. and Sun. Bill Mallonee & the Tiny Silver Hearts: Off Broadway, Thu. Jim Manley & Mark Friedricks: Jimmy's Café on the Park, Sun. Rich McDonough & Friends Jam: Beale on Broadway, Wed.
Rich McDonough Band: Beale on Broadway, Sat. Matt McGaughey & Jim Butz: Melting Pot, Fri. and Sat. Scott McMurray & Steve-O: Rue 13, Sat. Javier Mendoza: Borders Books & Music-Fairview Heights, Fri.
Middle Ground: Borders Books & Music-St. Peters, Fri.
Marion Miller & Eddie Eaton: Harry's West, Wed.
Mojo Blue: PJ's Martini & Wine Bar, Sat. Moore Pleasure: Laurie's Place, Wed. and Sat. ; Vanzo's, Thu. Todd Mosby Duo: Nadoz Cafe, Sat. Todd Mobsy Trio: Riddle's Penultimate Café & Wine Bar, Fri.
Nick Moss & the Flip Tops: BB's Jazz, Blues & Soups, Tue. Naked Groove: C.J. Muggs, Sat. Melissa Neels Band: Satchmo's Bar & Grill, Fri.; Bartman's Sports Bar & Grill, Sat. Scott Nienhaus & Karen Crawford: Airliner Restaurant & Lounge, Thu. ; Decades, Fri.
Night Sky Band: Night Sky, Wed.-Sat. John Norment Trio: Riddle's Penultimate Café & Wine Bar, Sun. Daniel O'Donnell & Band: Fox Theatre, Wed.
Bill Passalaqua: Stagger Inn...Again, Thu. Patti & the Hitmen: Trainwreck on the Landing, Sat. Steve Pecaro Band: 1860's Hard Shell Café & Bar, Fri. and Sat. Pennsylvania Slim Blues: Tuner's, Fri. and Sat. Phantom Planet: Mississippi Nights, Sat. Pik'n Lik'n: Gladstone's, Thu. ; R.T. Weiler's Food & Spirits, Sat. Planet X: Generations, Fri. and Sat. Precho: Borders Books & Music-Sunset Hills, Fri.; Borders Books & Music-Creve Coeur, Sat. Chris Proctor: Music Folk, Sat. Prosthetic Head: Venice Café, Thu. Eddie Randle Trio: Bubble Room, Thu. Ranx & Dubtronix Reggae: BB's Jazz, Blues & Soups, Sun. Raven Moon: Columbia City Saloon, Fri.
John Renbourn: Focal Point, Sat. 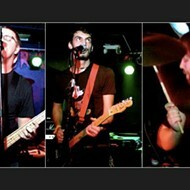 Rhythm Rockers: The Phoenix, Wed.; JackSons', Thu. ; JP's Corner Bar, Fri.
Ritmo Caliente: Crossings Taverne & Grille, Sat. River City Blues: 1860's Hard Shell Café & Bar, Sun. Robbie G. & Mike Buehrle: Velvet, Fri.
Will Robertson: Cummel's Café, Fri.
Rolltry: One Night Stand, Fri.
Rondo's Blues Deluxe: Hammerstone's, Thu. ; Trainwreck on the Landing, Fri.; Missouri Bar & Grill, Sat. Anita Rosamond & Beno: Failoni's, Thu. Rum Boogie: Laurie's Place, Sun. ; Cleo's, Tue. James Russell: Morganford Blues Bar, Sun. Sable: Fast Eddie's Bon-Air, Thu., Sat. and Sun. Saloonatics: O'Brien's Food & Drink, Sat. Mike Schlipp: Graham's Grill & Bayou Bar, Thu. Ses Aleph & Shan-Shan/Flex Boogie & Cougar Shuttle: Upstairs Lounge, Sat. Shaken Not Stirred: Crossings Taverne & Grille, Fri. Shrinking Violets: Trainwreck Saloon at Westport, Sat. Sir Thurl: Club Candela, Fri. Sister Datura: Partner's Lounge, Sat. Sit & Spin: Halo Bar, Sun. Bennie Smith & Urban Blues Express: Venice Café, Wed.; Broadway Oyster Bar, Thu. ; BB's Jazz, Blues & Soups, Sat. Solid Senders: Beale on Broadway, Thu. and Tue. Soul Reunion: 1860's Hard Shell Café & Bar, Thu. and Sat. Stage Fright & Leading Horse: Halo Bar, Tue. Stan Da Man: Oz, Sat. Dave Stone Trio: Delmar Restaurant & Lounge, Thu. ; Mangia Italiano, Fri. Strange Brothers: House of Rock, Fri.
Marcell Strong & the Apostles: 1860's Hard Shell Café & Bar, Wed.
Sub Seven: Jacques Sports Bar, Sat. 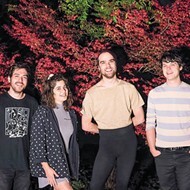 Ten High: Frederick's Music Lounge, Tue. That One Guy & Dr. Rob: Cicero's, Wed.
Third Stone Band: Angler's Pub, Sat. Todd Thomas: Maggie O'Brien's, Wed. and Sat. Those Guys: JP's Corner Bar, Sat. Three Times Fast: Twister's Iron Bar Saloon, Thu. Ticket to the Beatles: PJ's Martini & Wine Bar, Fri. Tiny Cows: Broadway Oyster Bar, Wed.
Trixie Delight: Harrah's Casino, Fri.
UltraViolets: Harry's Restaurant & Bar, Fri. and Sat. Tony Viviano: Bubble Room, Wed.; Tony Marino's Steaks & Chops, Fri.; Smith & Slay's Restaurant & Bon Bar, Sat. and Sun. Wadsworth: Red Spoon Coffee House, Sat. Robert Walther's 20th Congress: Cicero's, Sun. Watashi Wa: Off Broadway, Sat. Philip Wesley: Borders Books & Music-Creve Coeur, Fri.
Hugh Whalum Duo: Chasers Lounge, Fri. and Sat. Ptah Williams Trio: Riddle's Penultimate Café & Wine Bar, Wed.
Tom Wood: Venice Café, Fri.
Perry Woods: Parrot's Sports Bar & Grill, Wed.
Worxx: Mr. T's 55 Bar & Grill, Sat. X-Plorer & C-Beyond: Halo Bar, Sat. Yonder Mountain String Band: Pageant, Fri.
Taylor Young Blues: Jacques Sports Bar, Fri.; Corner Bar, Sat.